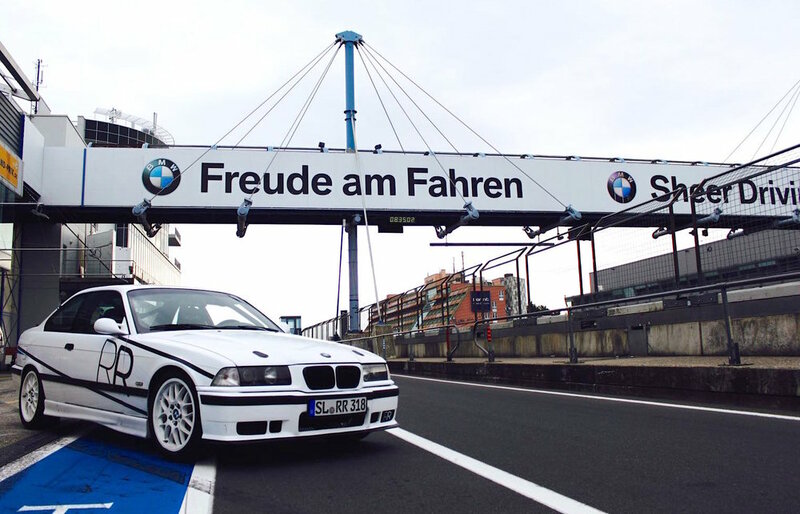 Track rental cars are very popular on the Nordschleife, but finding the perfect track prepared car requires a great deal of running around, comparing and trial-and-error. RR Nürburg are proud to introduce our own line-up of young timer BMW touring cars available to rent through Racer’s Retreat. Built and designed using our specialised knowledge of the Nordschleife to create fun, safe and engaging cars for drivers to experience the ‘Ring. These offer an excellent platform either for safely exploring the Nordschleife for the first time, or for really developing your driving skill here and making the most of your "Green Hell" experience. All our cars are fully equipped to the highest standard with race-level safety equipment including roll cages, harnesses, bucket seats, and fire extinguishers with helmets also provided. We have taken a very simple approach to pricing as we bring to you an all-inclusive rate, and unlike many rental cars on offer, there are no hidden extras, what you see is what you pay! Our cars are also available for use on other European circuits and trackdays, please contact us for more information.Our cars are also available for use on other European circuits and trackdays, please contact us for more information.